CLEANSE & PEEL – Uncover a new layer of skin through gentle exfoliation and relaxing resurfacing. EXTRACT & HYDRATE – Remove debris from pores with painless suction. Nourish with intense super serums that nourish and quench the skin. FUSE & PROTECT – Saturate the skin’s surface with antioxidants and peptides to maximize your glow. A number of our Cosmetic Clinicians have recently completed training in this amazing new treatment, which is coming soon to select locations. 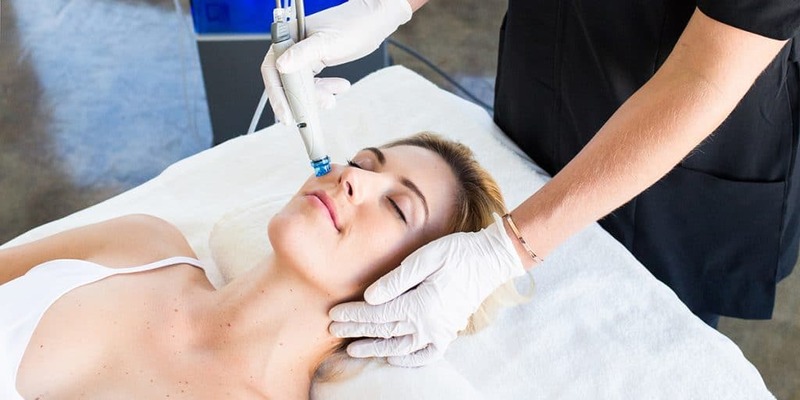 Request an Appointment for HydraFacial Today! HydraFacial is available at our Annapolis, Glen Burnie, Hagerstown, and Westminster, Maryland locations.